artbooks | Lunar Camel Co. I spent much of Thursday evening browsing the Spring 2010 D.A.P. catalog. I’d never seen their catalog before and found it nearly as engrossing as my perennial favorite at this time of year, the Baker Creek Heirloom Seeds catalog, which has over 230 varieties of tomato for 2010, including the rare Russian Emerald Apple, the Barnes Mountain yellow, the Caspian pink, the Cherokee purple and the Henderson’s Crimson Cushion. I don’t have any space to grow tomatoes but I could make room for a couple of these books. 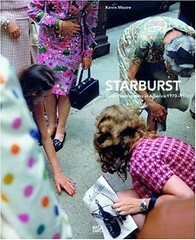 Starburst: Color Photography in America 1970-1980. This is out at the end of April. 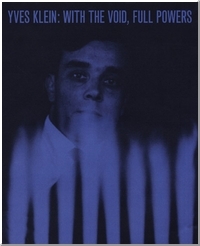 Yves Klein: With the Void, Full Powers. This one’s out at the end of May. It’s being published in connection with a Klein retrospective at the Smithsonian’s Hirshhorn Museum & Sculpture Garden. There hasn’t been a major Klein exhibit in the US in many years and I think it’ll be kind of a big deal. Honoré de Balzac, Treatise on Elegant Living. I’ve read quite a few of Balzac’s novels but not anything in the way of essays or aphorisms. He’s great with villains, frauds, and all manner of people on the make so I’m guessing an epigrammatic style suited him nicely. 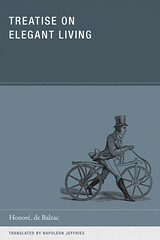 This is the first English translation of this title and the catalog describes it as “marking an important shift from the early dandyism of the British Regency to the intellectual and artistic dandyism of nineteenth-century France.” The official date on it is Feb. 28 but you can get it from Amazon now. Pedro Friedeberg. 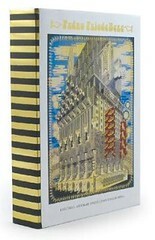 Pop-surrealist artist and designer monograph, out in March. In the meantime there’s some interesting stuff on his site. 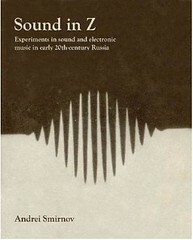 Sound in Z: Experiments in Sound and Electronic Music in Early 20th-Century Russia. Edited by David Rogerson and Matt Price. I don’t really know anything about theremins and whatnot but but the intersection of science and music and kooky 20th century inventors is promising subject matter. (Exhibit A: a quick peek at Mr. Léon Theremin’s Wikipedia page reveals that he also invented a big wooden box called “The Thing,” which was presented to the US ambassador in Moscow by Soviet schoolkids and then used to eavesdrop on his office for the next five years or so, and a dance platform called the terpsitone that converted dance moves into tones). I’m also intrigued by the reference in the book’s description to “Avraamov’s ‘Symphony of Sirens,’ an open-air performance for factory whistles, foghorns and artillery fire first staged in 1922.” Out at the end of March. 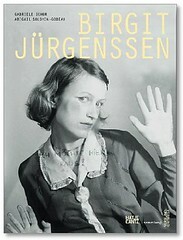 Birgit Jürgenssen. Edited by Gabriele Schor. Text by Abigail Solomon-Godeau, Elisabeth Bronfen and Sigrid Schade. Yes please, about time. I have saved several images of Jürgenssen’s work over the past few years with her name in the back of my mind, used them as desktops and that sort of thing, but without ever following up. The short story is that she is an Austrian artist, born 1949, died 2003, but stay tuned for a Birgit Jürgenssen blog art show here sometime soon. This monograph is out in the US at the end of March; it looks like the German edition was out in 2009. 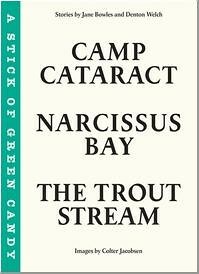 A Stick of Green Candy. Stories by Jane Bowles and Denton Welch. I’ve been meaning to read some Jane Bowles for a while now and this illustrated collection of four of her stories seems like an interesting place to start. Out at the end of March. 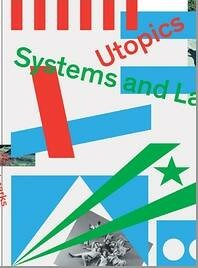 Clicking on any of the images above will take you to more info about the books on D.A.P.’s site.